Xitang information: all your requirements regarding your stay, included instructions about tours and convenient solutions for hotels and rooms arrangement. 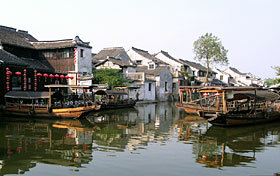 Hotels: Xitang and China reservation service, discount hotels at budget prices. Travel: you can update about Xitang tours to discover the principal highlights and to visit the famous tourist lands in the surroundings. Ancient town Xitang lie in Jiashan county of Jiaxing city of Zhejiang Province, Xitang is ancient town of history and culture more than thousand year, the area of network of rivers located in southeast basin, the river harbour is criss-cross, ripple and spread all over the place. As far back as the Spring and Autumn and the Warring States Periods being Wu Yue two country of crossing places, have " whether Wu stick exceed angle " claim with " exceed corner household ". Beauty spot introduction: Drunk garden, west pool little bridge, protect country up to grain temple Wang, misty rain long corridor, hope celestial bridge, stone cover get, it burn joss sticks lane, forever would rather bridge, it last son it want phoenix bridge, plant the good fortune hall, West Garden, the rain corridor, cook Hong Kong, temple of Suiliang emperor,. 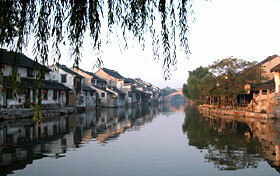 The best traveling time is two seasons of spring and autumn in Xitang .